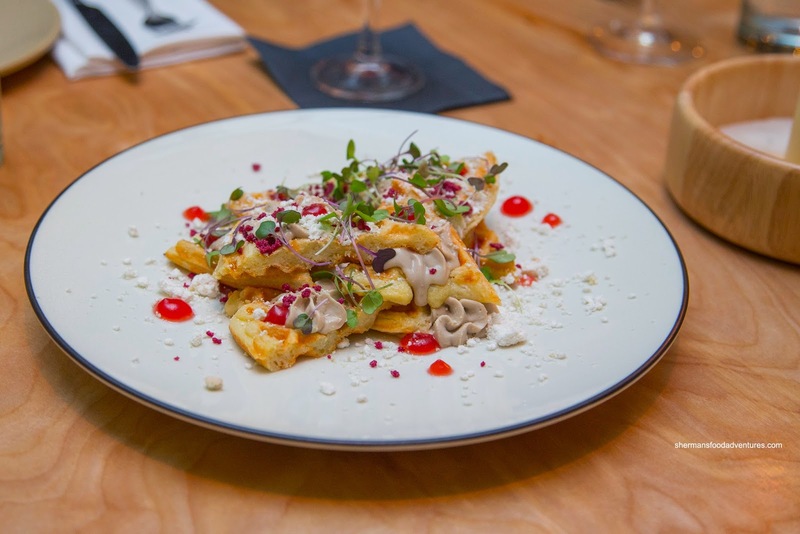 Since the menu encourages sharing, we got a few items to start including their Duck & Waffles featuring duck liver mousse atop fluffy waffles with candy apple gel, hibiscus and brown butter powder. We found the waffles to be crisp and light while marginally sweet. Sandwiched in between them was a generous portion of duck liver mousse that was creamy while not overly heavy. For us, everything seemed to be in harmony with this dish and we would gladly eat this over and over again. 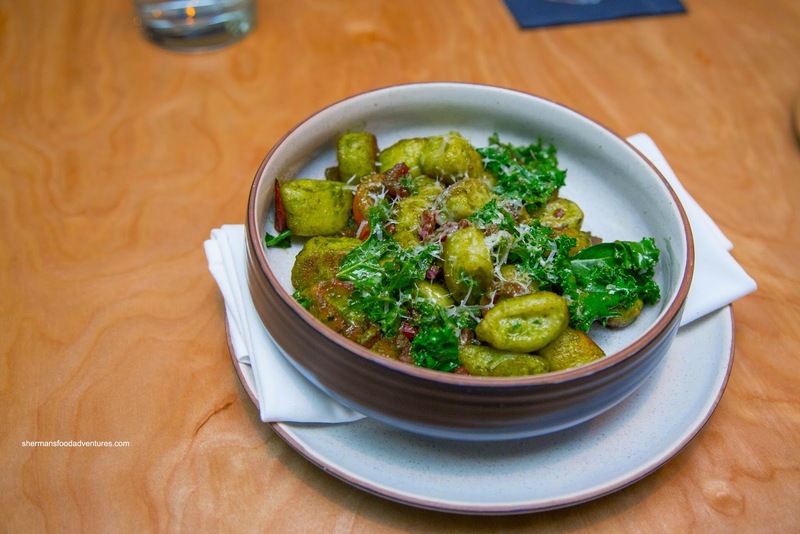 Next up was the Riocotta & Chive Gnudi with cherry tomatoes, Swiss chard stems and kale. The soft nuggets of ricotta pasta were soft and pillowy with nicely brown crispy exterior surfaces. Aromatic and herbaceous, the flavour profile matched well with the slight bitterness of the stems and tartness of the tomatoes. 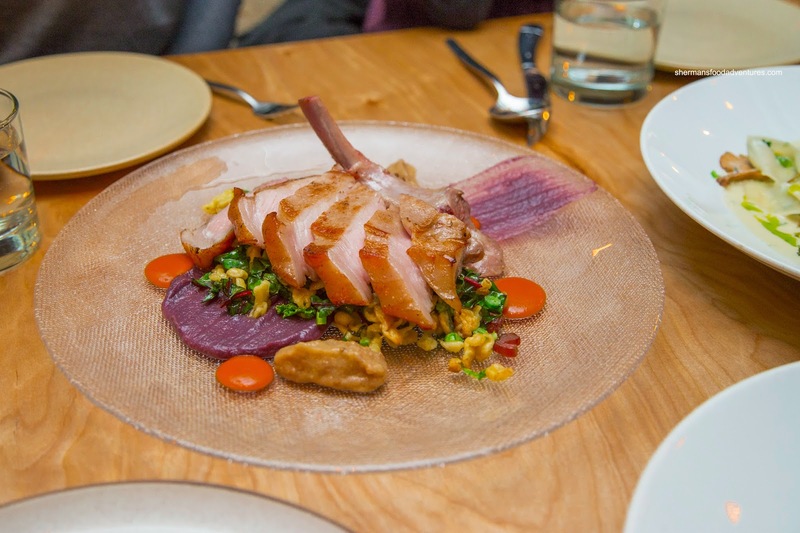 Onto some larger dishes, we had the bone-in Pemberton Pork Chop with pretzel spatzle, red cabbage puree and pear mostarda. Since the chop was sous-vide first, it was sufficiently tender (although not as succulent as we would've expected) while being completely moist inside. It was barely done with some pink near the bone. We liked the nicely browned spatzle underneath as it was toothsome and buttery. The combination of the sweet mostarda and slightly acidic red cabbage went well with the pork. 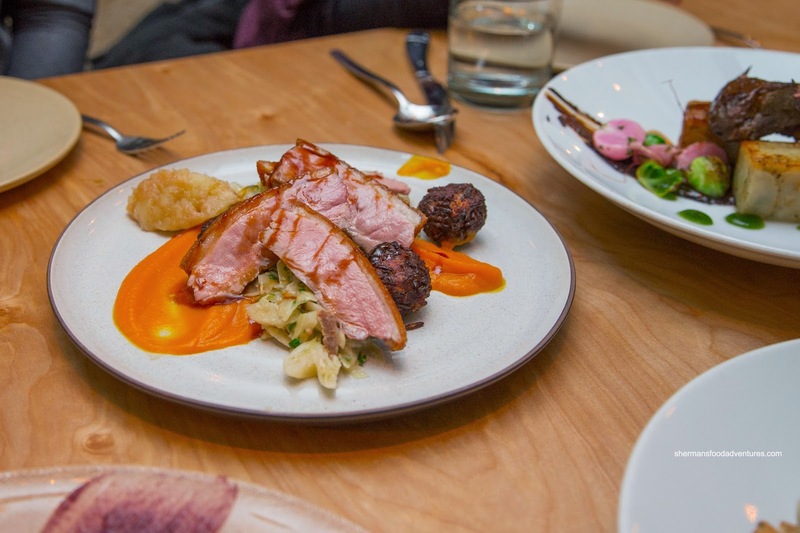 We had another meat dish in the Yarrow Meadow Duck Breast with cabbage aigre doux, apples and carrot puree. Also sous-vide, the duck was sufficiently tender, but could've been even more so. The skin was nicely rendered being crispy. Countering the sweet chunky apples, the tangy cabbage added the balance to the dish. Moving on, we had probably our most favourite dish which didn't have any meat in it at all. The Parsley Brown Butter Pappardelle was expertly prepared where the flavours were apparent without being salty (as Parmesan can usually be). 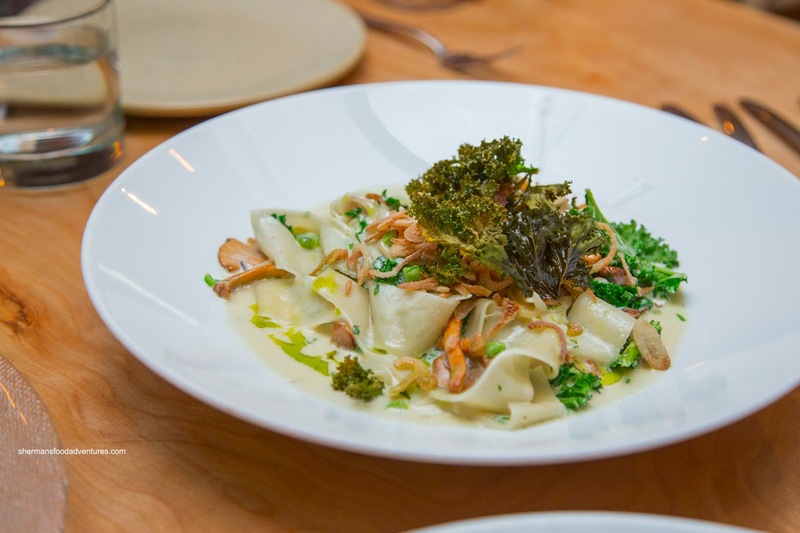 The combination of Parmesan cream, kale, mushrooms and shallots created an aromatic and Earthy flavour profile which was enough to make an impact. Despite being a touch soft (as freshly made pasta can be), the pappardelle was tender and soaked up the flavours. 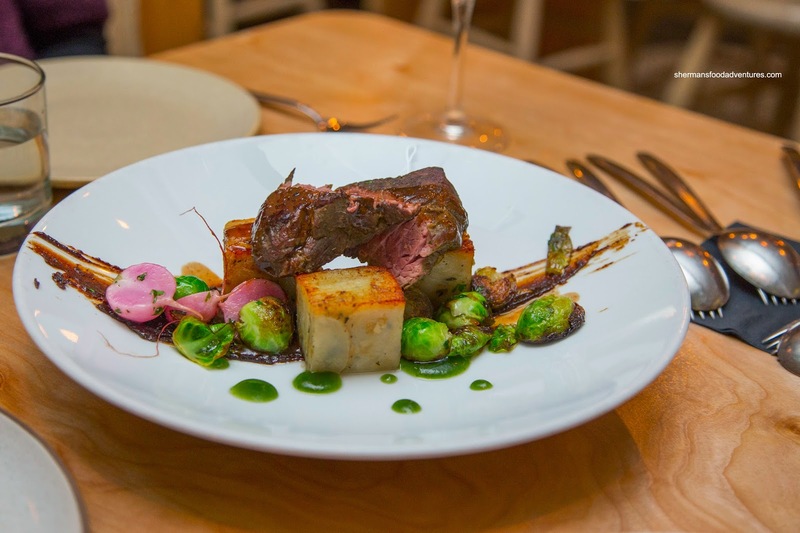 Our last savoury item was the 72-hour sous-vide Heritage Angus Short Rib with scalloped potato pave, brussel sprouts, radish and mushroom resin. The meat itself was super tender which practically melted in our mouths. The super powerful mushroom resin packed a punch with an Earthy saltiness. The pave was prepared well where it was soft without losing texture. 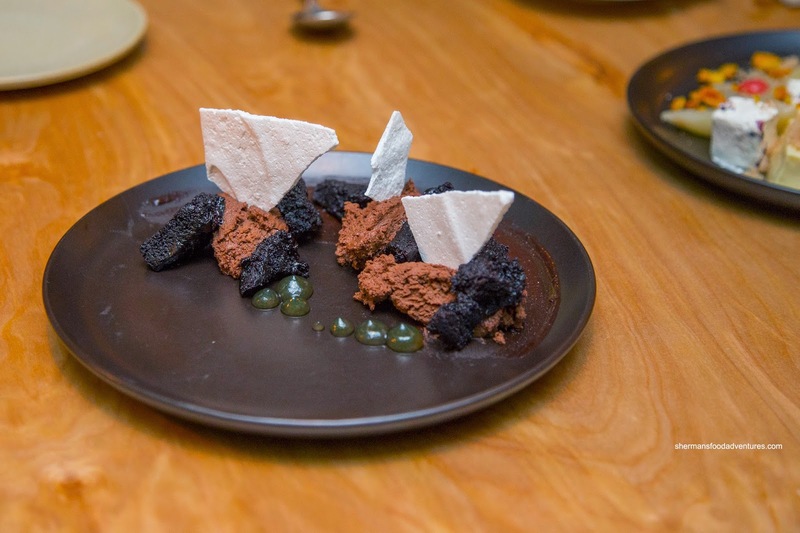 For dessert, we shared the After Eight first which consisted of dark chocolate cake, peppermint chocolate mousse, meringue and peppermint gel. As the name suggests, it did really taste like an After Eight chocolate with a noticeable peppermint hit from start to finish. The chocolate cake was soft and moist while being only semi-sweet. 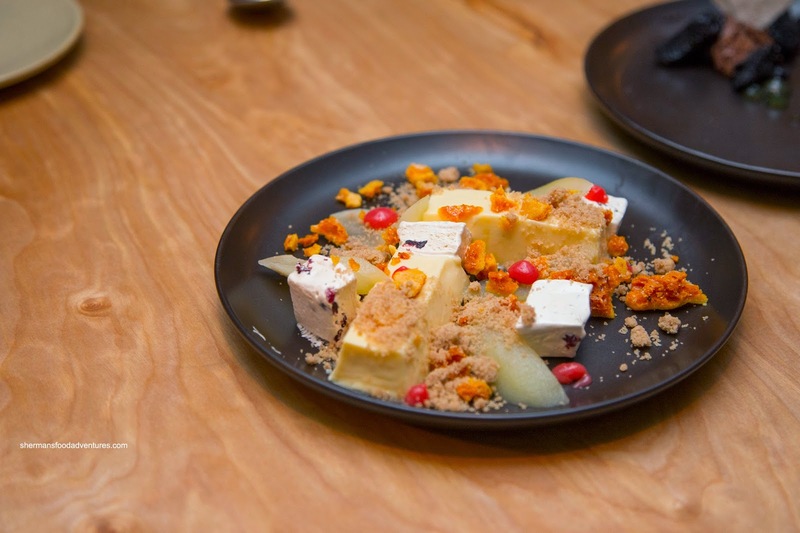 Next, we tried the Eggnog Pannacotta with nouget, honeycomb, pear and sugar crumble. We felt the pannacotta was far too watery where it practically dissolved on contact. It was definitely sweet though where the rest of the ingredients only added to the sweetness. If we had to choose, the After Eight was definitely better. After it was all said and done, we were pleased with our meal despite some minor issues. 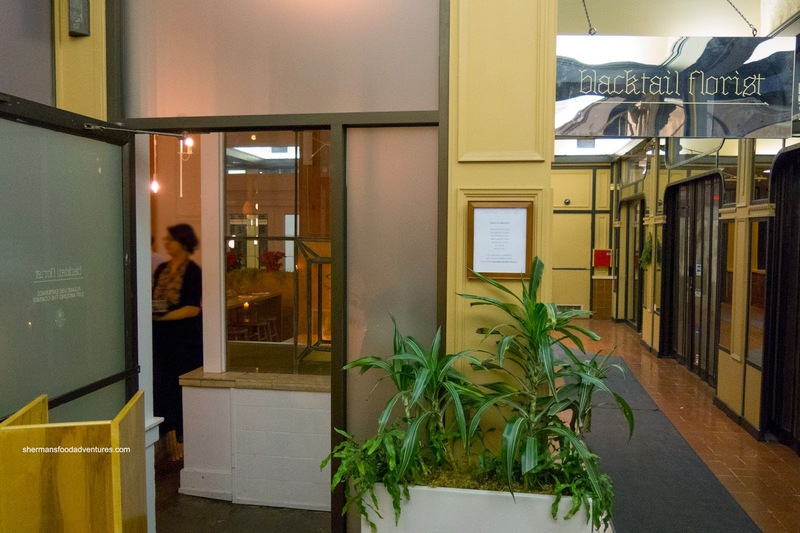 We felt the service was excellent while the portion sizes fair for the price.